Next-generation sequencing (NGS) technology has revolutioned clinical diagnostics for inherited disorders. The paradigm shift driven by NGS is rooted in its fundamental advances over Sanger sequencing, primarily its ultrahigh throughput and significantly lower cost per base of sequence. These enhanced capabilities have enabled clinical laboratories to go from testing single genes to simultaneously sequencing tens, hundreds, and thousands of genes, even the whole human genome. This dramatic leap in capabilities has yielded dramatic success stories but is also accompanied by numerous new challenges that will face the field for years to come. Despite its relatively recent emergence, NGS has become the primary diagnostic methodology in academic and commercial laboratories, which are continuing to expand the applications of this technology at a rapid pace. Indeed, it is clear that NGS-based genetic tests are applicable to inherit disorders in all stages of life, from preconception carrier screening to diagnosis of fetal, infant, young child, and adult-onset disorders. 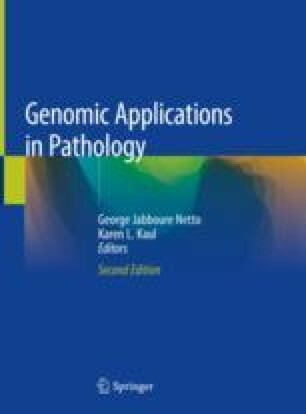 This chapter presents a brief description of NGS panels, exome, and whole-genome tests for germline variations and discusses their current clinical applications. Baylor Genetics Laboratories. PreSeek non-invasive prenatal gene sequencing screen. https://www.bcm.edu/research/medical-genetics-labs/test_detail.cfm?testcode=21200. Accessed 25 Jan 2018. Ellingford JM, Barton S, Bhaskar S, O’Sullivan J, Williams SG, Lamb JA, Panda B, Sergouniotis PI, Gillespie RL, Daiger SP, Hall G, Gale T, Lloyd IC, Bishop PN, Ramsden SC, Black GC. Molecular findings from 537 individuals with inherited retinal disease. J Med Genet. 2016; https://doi.org/10.1136/jmedgenet-2016-103837. pii: jmedgenet-2016-103837. [Epub ahead of print]. Fatkin D, Huttner IG. Titin-truncating mutations in dilated cardiomyopathy: the long and short of it. Curr Opin Cardiol. 2017; https://doi.org/10.1097/HCO.0000000000000382. [Epub ahead of print]. Martin K, Iyengar S, Kalyan A, Lan C, Simon AL, Stosic M, Kobara K, Ravi H, Truong T, Ryan A, Demko ZP, Benn P. Clinical experience with a single-nucleotide polymorphism-based non-invasive prenatal test for five clinically significant microdeletions. Clin Genet. 2017; https://doi.org/10.1111/cge.13098. [Epub ahead of print]. Stosser MB, Lindy AS, Butler E, Retterer K, Piccirillo-Stosser CM, Richard G, McKnight DA. High frequency of mosaic pathogenic variants in genes causing epilepsy-related neurodevelopmental disorders. Genet Med. 2017; https://doi.org/10.1038/gim.2017.114. [Epub ahead of print].